Our exclusive Learning Adventures by Ladybird ™ curriculum is a one of a kind all around learning experience specifically designed for every developmental stage of education with theme based units, specific learning activities, enrichment lessons and fun, engaging lesson plans. Learning Adventures by Ladybird ™ encompasses core academic subjects from math, reading, writing, foreign languages and information technology to other key academic components such as arts and crafts, music, dramatic play and physical activities. The Innovations series is a complete, interactive curriculum for infants and toddlers. In addition to the wealth of activities, each book includes these critical components: applying child development theory to everyday experiences; using assessment to meet individual developmental needs; using the physical environment as a learning tool; developing a partner relationship with parents; fostering an interactive climate in the classroom; and educating parents. Infants and Toddlers will experience developmentally age-appropriate sensory and explorative activities, create art and craft projects, experience science, math & manipulative and dramatic play possibilities throughout each day. In addition, Ladybird Academy also includes introduction to letters, numbers, shapes and colors to set a foundation for the preschool years and beyond. Our students in Infants and Roly Polys engage in Infant Sign Language throughout each day. All Ladybird Academy employees are trained to teach sign language to infants and young toddlers. They will learn signs pertaining to everyday experiences which will enable them to communicate their needs. This will limit infant and toddler frustration when communication through language is not yet developed. All children attending Ladybird Academy have an opportunity to explore several dramatic play options. Infants and Toddlers can play dress-up in costumes representing multiple-cultures and community helpers and role play with kitchens and equipment designed specifically for their age. Preschool and Pre-K students can experience a make believe environment out of their classroom in Play Town. 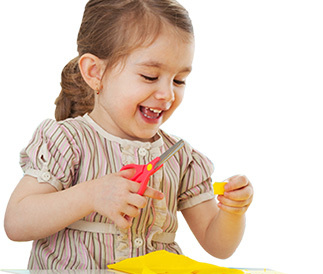 Play Town is equipped with everything a child could wish for during pretend play. Children develop self-help skills, social skills and language development while dressing up in the life size doll house, shopping in the grocery store or creating hair styles in the hair salon. At Ladybird Academy we believe not only in a second to none educational curricula in the classroom but also a strong physical activity, sports and games program. Our state of the art facilities are purpose built to accommodate this. Children have regular outdoor sessions on our separate age appropriate playgrounds which include a wide range of climbing and play equipment that keep children busy and energized for hours. Basketball hoops, splash zones and even bicycle trails can be found at many of our schools (amenities vary by location). A wide array of extra curricular sports programs are also offered.